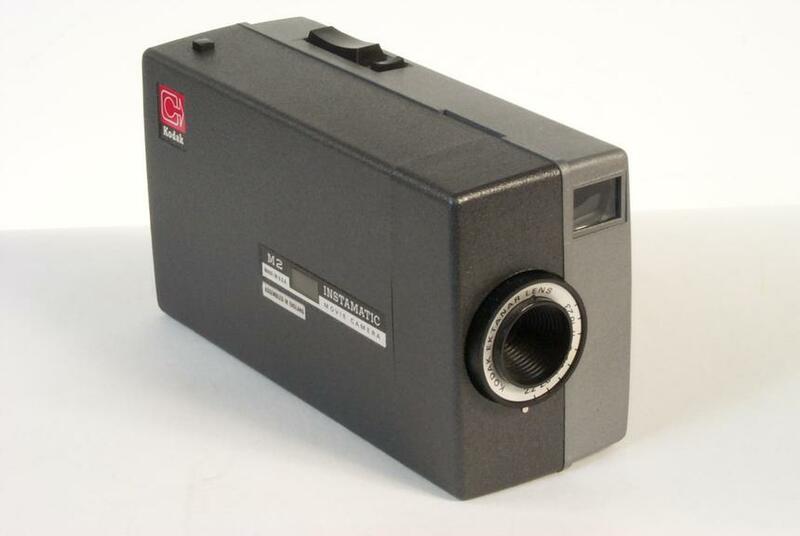 Kodak instamtaic M2 camera. 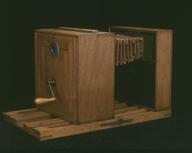 Manufactured by Eastman Kodak, assembled by Kodak Limited. For Super 8 film in cartridges; Kodak Ektanar lens f/2.2; manual exposure setting, manual exposure guide. DV optical finder; electric motor drive. Serial No D21675. In original packing. 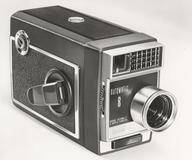 This is an example of the simplest of the range of three Kodak Instamatic Super 8 cameras. Introduced in the US in May 1965 it was discontinued in March 1968. 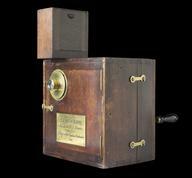 It has a Kodak Ektanar f/2.2 fixed-focus lens and an electric motor drive at 18 frames/second. 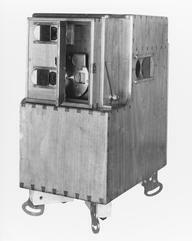 The film transport, common to all in the range, is mounted on a die-cast inner frame and the camera is made of glass-reinforced plastic. It has a direct-vision optical finder and an exposure guide to assist in setting the lens aperture. 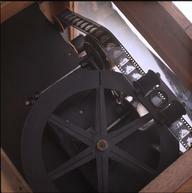 The camera takes 50 feet Super 8 film cartridges.